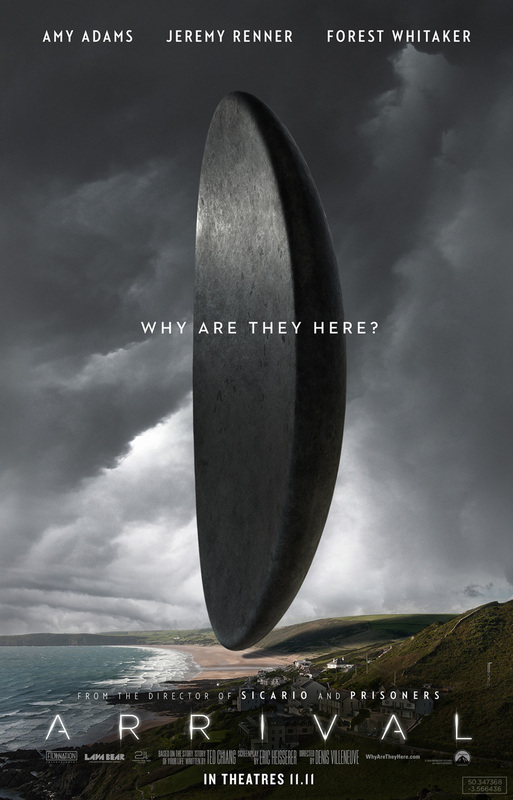 Arrival may be the best science fiction film of the year, and arguably the most introspective movie in the last decade to broach the contentious topic of intelligent life beyond our own. Its clever approach to storytelling forces the audience to grapple with their preconceived notions of what the typical “alien” is thought to be like, of what it means to communicate, and ultimately, a reminder that humankind is young, powerful and still has a lot to learn about understanding one another. For a sci-fi movie, it’s light on action, focusing instead on introspectiveness and raw human emotion. I found it original and thought-provoking. Definitely the type of movie that remains lodged in your brain for hours afterward, and warrants a second viewing. We may not get to the movies as often as we used to, but when we do go, we make it count. Tara is making a pork roast for dinner. We are planning to walk down to Cascade Bar & Grill later this evening to enjoy cocktails and live music. Enjoy the rest of your weekend! Wow. Thanks for this. Laura and I were talking about this at dinner. Now, we HAVE to see it. Cool! Sure thing! Three days later and I’m still processing the film. Let me know what you think once you see it. Mark, I’ve seen the trailer for this movie on You Tube over the past few weeks and thought it looked VERY interesting. Also, I happen to really like Amy Adams. Thanks so much for sharing the review, I will definitely see it! I do believe I blogged here once about my impending nuptials to the talented and beautiful Ms. Adams. Tongue-in-cheek, of course. She was great in the leading role of Dr. Banks, I might add! Catching a film while it is still in theaters is a rare occurrence for us. That said, I do make acceptions for recommendations like yours. Something to do with the family during the holidays perhaps. Thanks! Why, I’m happy to oblige, Mrs. Briggs! If you do get a chance to see it, let me know your thoughts.